Australian PM Scott Morrison says the country’s major political parties and parliament were hit by a “malicious intrusion” on their computer networks. The activity was carried out by a “sophisticated state actor”, he said. Mr Morrison’s comments follow an investigation into the hacking attempt, which was first thought to involve only the parliament’s servers. 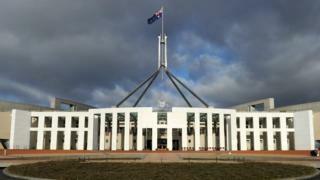 “During the course of this work, we also became aware that the networks of some political parties – Liberal, Labor and Nationals – have also been affected,” he told the House of Representatives on Monday. The prime minister did not say which foreign state, if any, was under suspicion. He said he would not provide additional detail on “operational matters”. After the attack on the parliament’s computer network two weeks ago, officials said there was “no evidence” that information had been accessed or stolen.